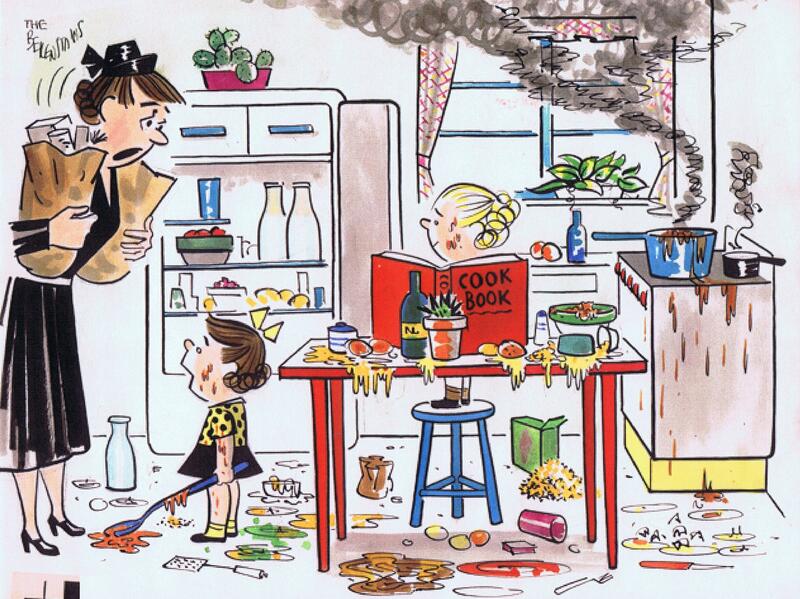 Adapted and excerpted from Mike Berenstain’s Child’s Play: Cartoon Art of Stan and Jan Berenstain, published by Abrams in 2008. 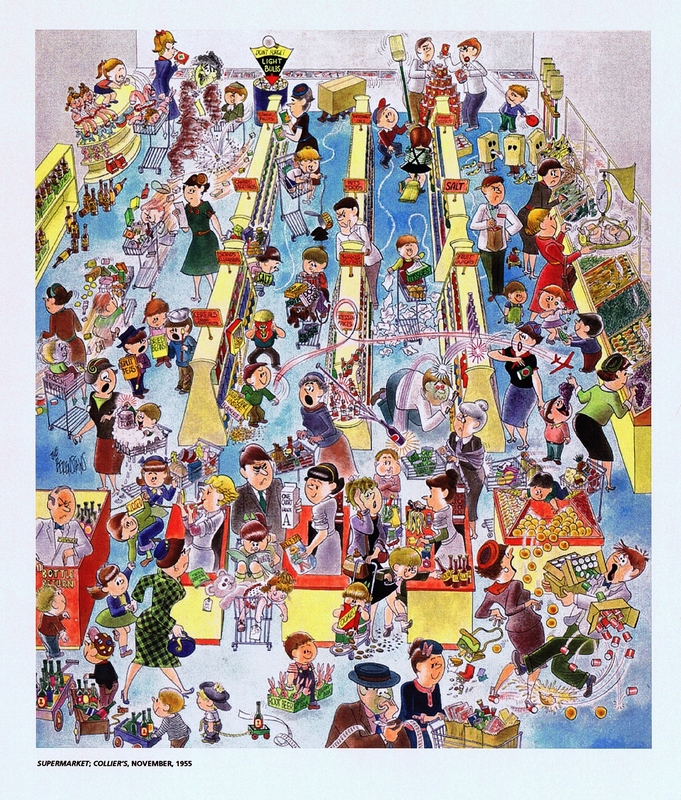 At the same time Stan and Jan were laboring over their larger cartoons, they continued to produce a flood of regulation-size gag cartoons chiefly, now, for Collier’s. They began to focus their efforts on a tomboyish, wise-cracking little girl they thought of, simply, as “Sister”―a cartoon everyone could connect with. 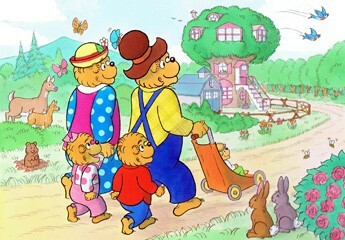 People sometimes ask, suspiciously, where the idea of naming the Berenstain Bears by their family roles, “Papa,” “Mama,” “Brother,” and “Sister,” came from. They seem to assume it has some subversive ideological import relating to their origin in the turbulent 1960s. But the truth of the matter is that came out of the innocent world of 1940s American family magazines―a world where kids were generically dubbed “Butch” or “Skip” or “Sis”―just another average all-American kid. 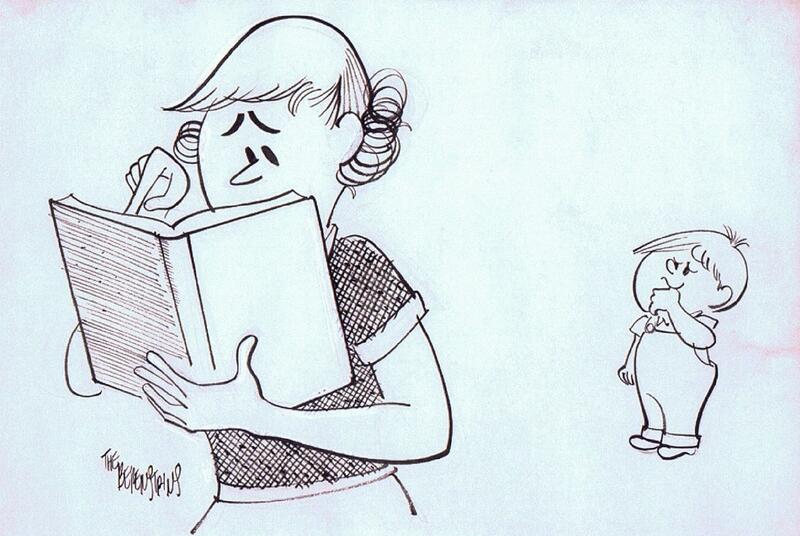 The humor of the Sister cartoons could be sweetly cute and charming. But it could also verge into the slightly edgy and subversive. My ears are killing me! We were going to make you something real nice but there were too many hard words. Stan and Jan’s ever-rising professional profile drew the attention of an editor at Macmillan. Since they were so good at creating cartoons about kids, he wondered, why not try their hands at a book on the subject, as well? Dr. Spock’s Baby Book was, of course, the Bible of child-rearing in the early Fifties and seemed a natural target for a disrespectful spoof. Thus the Berenstains’ Baby Book was born, soon to be followed by a sequel, Baby Makes Four, and several other childrearing-themed books. Much of the humor of these books centered on straightforward satire of the “by-the-book” and “he’s-just-acting-out” school of parenthood. Stan and Jan were particularly adept at mimicking the pompously professional jargon of the early self-help tomes. “Back to the sea!! !” shouted the brave puppet. 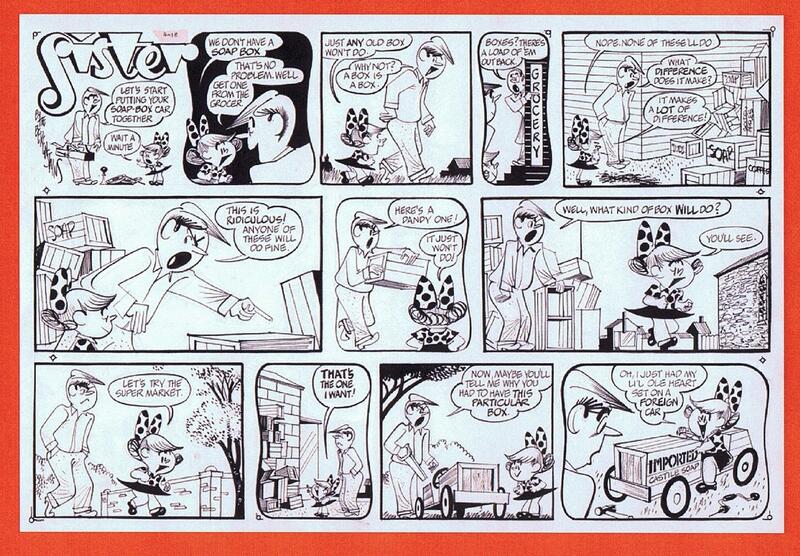 Sister, the on-going panel cartoon they had produced for Collier’s, was the nucleus of the project. It was popular―a book collection was published in 1952―and many of the gags had already taken on a sequential form similar to that of a comic strip. 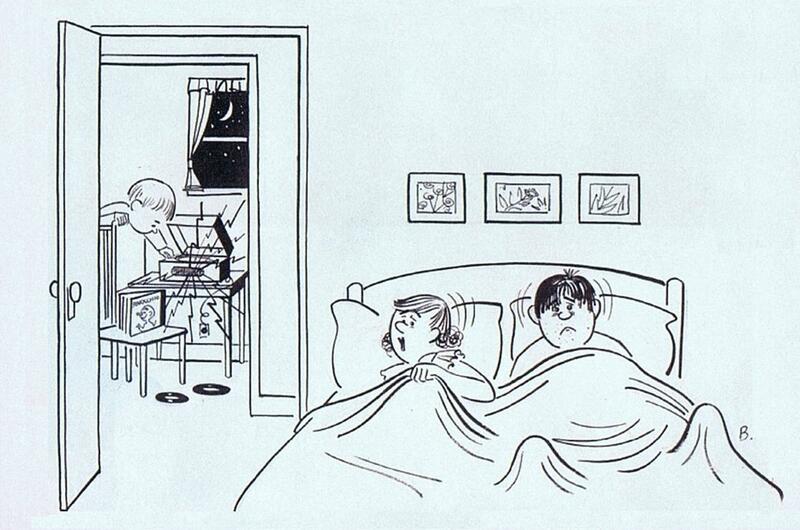 Why not, schemed Stan and Jan, extend this successful magazine cartoon into a daily newspaper comic? So, the intrepid couple set to work. The Register and Tribune Syndicate picked up the new strip for 1953 and 1954. 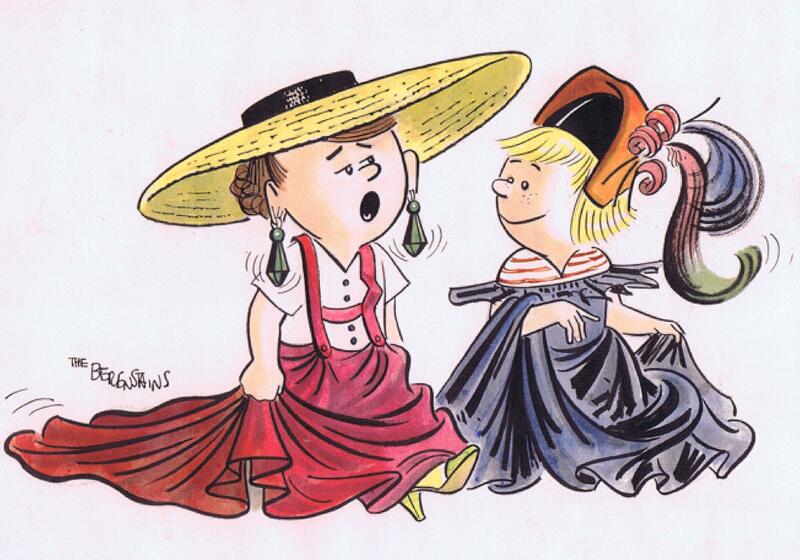 The strip version of Sister highlighted the tomboyish, mischievous aspect of the character who was, in some ways, a female sibling of Dennis the Menace. In the Sister Sunday features, Stan and Jan were able to loosen up with some elaborate and ambitious comic art. They were also able to explore more complex subject matter and follow up on their baby book successes by offering a little parenting advice. Though similar in some ways to Dennis, Sister did not resemble the Menace in the extent of its newspaper distribution. The plain fact was that, in spite of all their efforts, it was not paying off. After about seven hundred drawings, Stan and Jan decided the newspaper business was not for them. They fled, sweat-soaked and ink-stained, not much richer but a little wiser, back into the welcoming arms of Collier’s, who happily, reintroduced their work in the original format they had pioneered: full-page feature cartoons. Don’t miss Part 1 and Part 2 of Team Berenstain. Thank you so much for your suggestion. You will now find the rss service on our blogs.